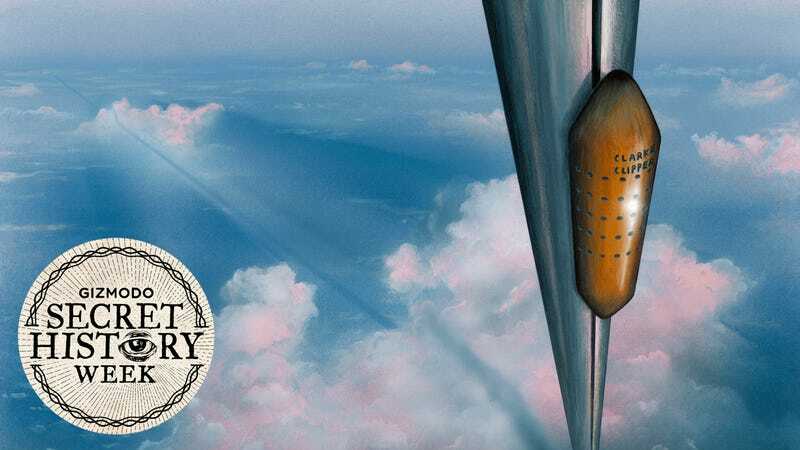 In his 1979 novel Fountains of Paradise, Arthur C. Clarke described an impossibly tall tower that would ferry humans from the Earth’s surface into orbit. Nearly forty years later, space elevators still have the ring of science fiction. But against all odds, a small community of engineers is pushing the idea closer to reality. SKY LINE, a new documentary directed by Miguel Drake-McLaughlin and Jonny Leahan, is their story. In 74 minutes, the film recounts the origin of the space elevator, describing how such a vertiginous tower would work and the myriad ways it could benefit humanity, from beaming down clean energy to sending up space tourists and interplanetary colonists on the cheap. But above all, SKY LINE is a tale of human ambition; of people who have dedicated their careers and their lives to a totally crazy dream, ripped literally from the pages of a science fiction book. This film isn’t for everyone—it’s slow and weighty, and as you might guess, there’s no big emotional payoff at the end—but for space buffs and hard sci-fi fans, SKY LINE offers a deep and honest look at one of the most fascinating engineering projects ever conceived. From the Tower of Babel to Jack’s infamous Beanstalk, humans have always dreamt of climbing to impossible heights. From that perspective, the space elevator is the latest incarnation of an age-old fantasy. But unlike other “stairways to heaven,” the space elevator—although popularized by fiction—was always deeply rooted in science. The story, as SKY LINE tells it, began in 1969, when NASA space scientist Jerome Pearson listened to Arthur C. Clarke explaining how a geostationary space satellite works to a room full of Congressmen. To help his Earth-bound audience wrap their heads around the idea, Clarke asked them to picture a satellite suspended far above the Earth atop an imaginary tower. A lightbulb went off in Pearson’s brain. If we can keep a device parked in geostationary orbit, he reasoned, then why not toss a cable down to Earth and make an actual tower? It took Pearson a year to work out the math, and another few years to find an academic publisher willing to gamble on the radical idea. In 1975, Pearson’s space elevator concept was published in Acta Astronautica. But it wasn’t until Clarke’s 1979 novel, which drew heavily on Pearson’s ideas, that the idea was popularized outside of academic circles. Science fiction has a way of inspiring innovation. As Ursula K. LeGuin once put it, “The future is a safe, sterile laboratory for trying out ideas....a means of thinking about reality.” Once a future technology is imagined in science fiction, it falls on smart, creative individuals to actualize it. We’ve seen this play out time and time again, from Star Trek’s tricorders to humanoid robots to the Internet itself. So it’s not surprising that some of the people who grew up reading Fountains of Paradise wondered—very seriously, with their calculators out—whether and how such a structure could be built. “It was remarkable how we could look back to science fiction authors and see how prescient their ideas were, how strongly they affected the lives of our characters,” Drake-McLaughlin said. But in the winter of 2003, just as Edwards and Laine were finishing their study, the space shuttle Columbia broke up in orbit, killing all seven astronauts on board. The fallout from that disaster was tremendous, and NASA immediately shelved a number of exploratory projects, including the space elevator. Orphaned, Edwards and Laine decided to strike out on their own. They formed a space elevator company, and began searching for private investors. But that partnership would not last long. Following a bitter argument over how the company should conduct business, the two split up, each one taking a bruised ego and a piece of the broken dream with him. Over the next few years, the space elevator community would retool its focus toward developing incremental technologies with short term payoffs—for instance, robots that could climb into the sky on an ultra-strong cable. But when the economy crashed in 2007, fledgling space elevator initiatives folded, and progress ground to a halt. It’s only in the last few years that a revival has stirred within the space elevator community. Renewed interest in space elevators is being driven by advances in materials science, most importantly, the development of carbon nanotube ribbons forty times stronger than steel. If this material can be manufactured at economies of scale—and right now, that’s a big if—then a 62,000 mile-high cable that doesn’t snap under its own weight might just be feasible. As space elevator proponents will insist, the physics is tenable, but the materials aren’t ready for prime time. So, where does that leave us? Will a space elevator be built within our lifetimes? SKY LINE doesn’t have the answer, and after dragging the audience through a slew of crushing setbacks, the film left me feeling pretty frustrated about the whole business. (I’m sure the space elevator community can commiserate.) But if there’s a reason to have hope, it’s this: like many other just-over-the-horizon technologies, the real bottleneck with space elevators isn’t science. It’s capital. Whether that breakthrough comes next year or in fifty, it’s clear that the infectious dream of space elevators will live on. SKY LINE will be available on all major On Demand platforms, including Amazon Instant Video, Google Play, iTunes, Vudu, VHX, and Xbox, beginning on November 20th, 2015.